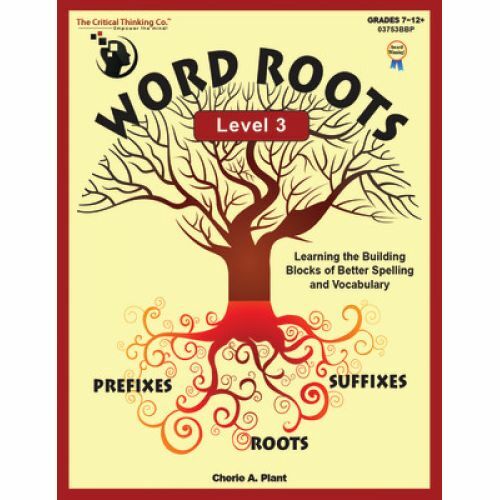 Students learn the meaning and spelling of roots, prefixes, and suffixes commonly used in English. Learning these word elements dramatically improves spelling and the ability to decode unfamiliar words. The activities focus on using these words in context to help students incorporate each word into their vocabulary. 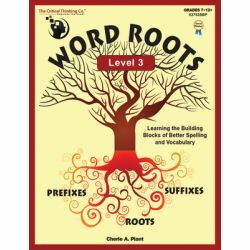 Each book includes a pretest/posttest, lesson reviews, answers, and a dictionary of the prefixes, roots, suffixes, and vocabulary words derived from Latin and/or Greek word elements. 288 pages.